Runswick Bay, a gorgeous fishing village further up the coast. Whitby looking down at the harbour entrance. 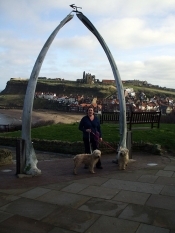 Whitby, the whale bones and abbey in the distance with Zoe, Roobarb and Alice. Staithes a fishing village with Captain Cook connections. Speeton cliffs, looking down on Filey bay. 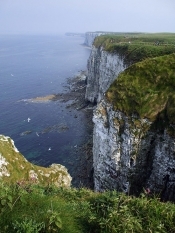 Bempton Cliffs Bird Sanctuary home to Puffins, Gannets, Razorbills and many more birds. The John Paul Jones Public House close to the cottage. A mini pool for babies and toddlers. Walking the dogs in the wild flower meadow. Can you see Roobarb? 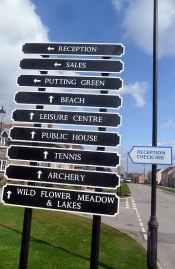 Directions to all the activities going on at The Bay. The walk down to the beach from Roobarb's Retreat. The fishing lake visited by plenty of wildlife on route to the beach. 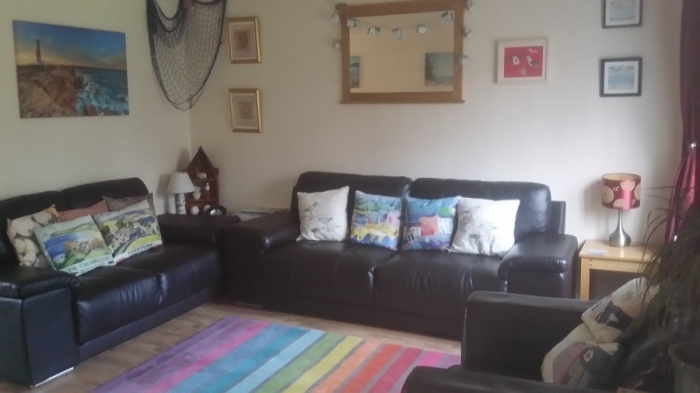 Roobarb's Retreat Holiday Cottage in Filey, first on the right. Filey, a lovely old town.